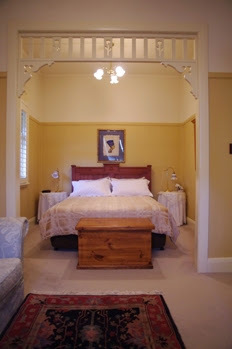 Langley Hall is an Edwardian Mansion built in 1904 for the then Anglican Bishop of Bendigo and is now fully restored and refurbished as a private elegant and restful bed and breakfast accommodation. 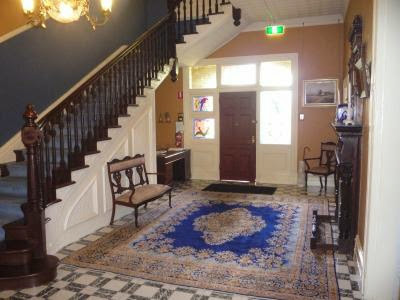 With opulent furnishings, this property is abundant with original art work and fine antiques. This large imposing residence with its ample verandas and vast gardens provides the opportunity for guests to enjoy areas of quiet relaxation. 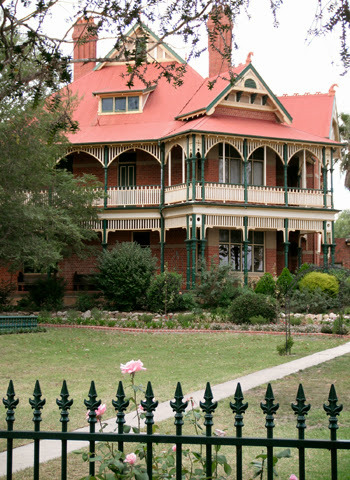 The See House or Bishops Palace for the newly formed diocese of Bendigo was designed by William Vahland and John Beebe in 1904. 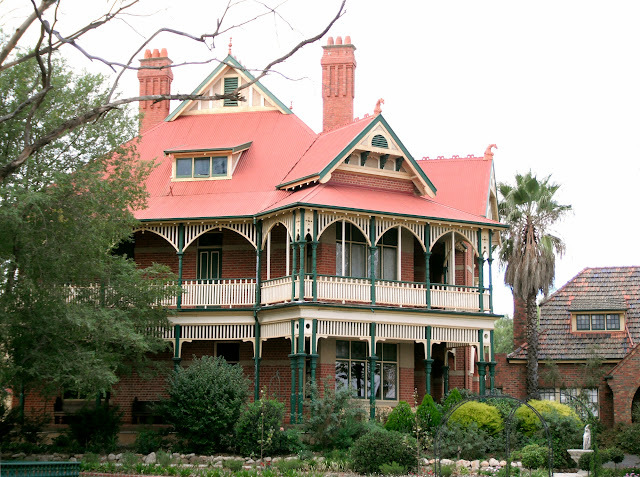 William Vahland is recognized as being the principal 19th century architect in Bendigo. 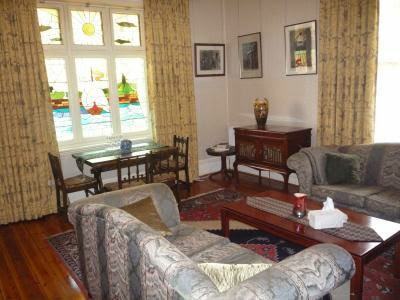 The new Bishopscourt was completed and occupied by the Bishop and his family in March 1905. 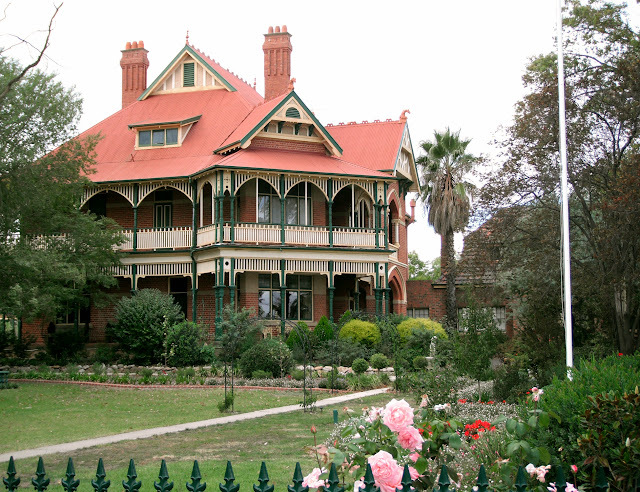 After World War 1, it became the Bendigo Diggers Red Cross Rest Home from 1919-1926, having assisted 872 patients. The first two Bishops of Bendigo lived here, but when Bishop Baker came to the Diocese in 1920 he moved to the present Bishopscourt in Forest Street, which had been given by the Lansell family. Langley Hall, as old Bishopscourt was later called, was subsequently used as a Red Cross Hostel, and then as a Theologolical Training College. In 1931, Mrs Wolstenholme, the wife of the Rector of St Peter’s, Eaglehawk, had the idea to use the building as a home for single girls and their babies. The official opening of St Luke’s Toddlers Home took place on Saturday 4th June, 1932 in the presence of a thousand people, including civic, government and church leaders. In 1979 the toddlers home closed as care of children was moved to family based foster care. 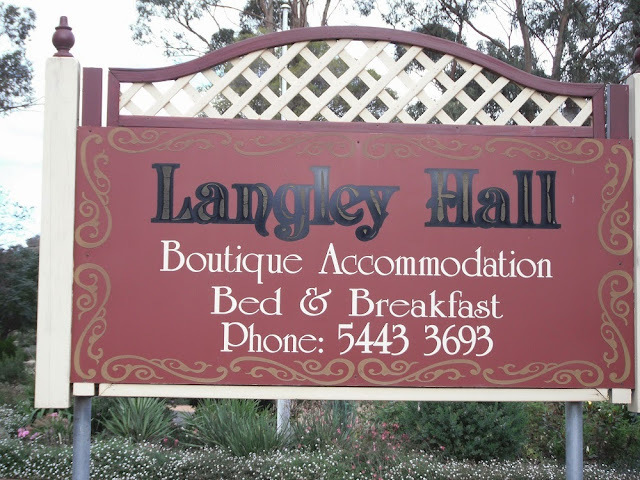 In the years since, Langley Hall has been a restaurant and reception centre, an antique dealers, and since 2000 has been Bed and Breakfast Accommodation. The See House or Bishops Palace for the newly formed diocese of Bendigo was designed by William Vahland and John Beebe. William Vahland had earlier taken his son, Henry, onto partnership in 1892. They contributed several notable buildings, including the Sandhurst Club in View Street, Caradon in Eaglehawk and Penwinnick in Quarry Hill. 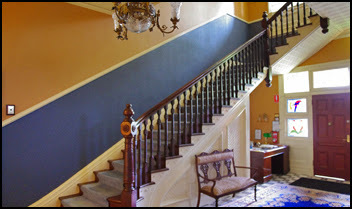 William Vahland is rightly recognized as being the principal 19th century architect in Bendigo, but towards the end of the century their practice was successfully challenged by William Beebe. William Vahland retired in 1900, whereupon, Henry Vahland joined in partnership with John Beebe, the younger brother of William Beebe. Both John and William had started out as stonemasons with their father, William Beebe senior, though William had turned to architecture exclusively from 1892. John became and architect from about 1900. His partnership with Henry Vahland was cut short by Henry’s untimely death from Bright’s disease in 1902, at the age of 42 years. William Vahland then came out of retirement, taking his son’s place in the firm. Langley Hall was the largest commission of the new partnership. The memorial stone for Bishop Langley’s new Palace was laid by the Very Rev. Dean MacCullagh on 7 September, 1904 in the presence of 700 to 800 people. Dean MacCullagh, having been invited to lay the stone and to speak, said that he knew the Bishop as a young man, and he desired now to say that ‘from the first time the Bishop of Bendigo was elected he determined loyally to work under him in the service of the Church, and he was now prepared to say that he considered the best man had been elected to the office. In Bishop Langley’s selection, the grace of God had been manifested. The new Bishopscourt was completed and occupied by the Bishop and his family in March 1905. A palace was needed for the new diocese but why this site was chosen is not known. Henry Archdall Langley was born in 1844. 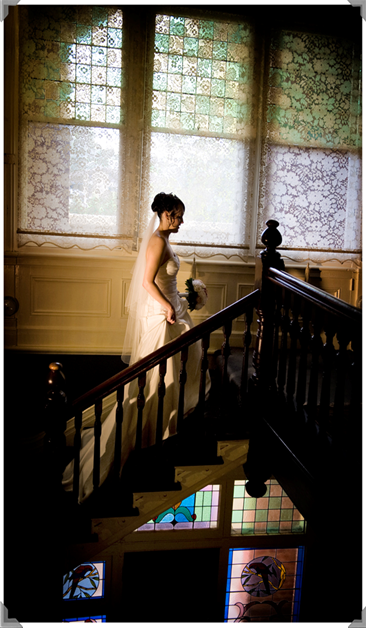 He was born in Ireland and married an Australian, Elizabeth Mary Strachan. They had twelve children. .
After studying at Moore Theological College, Henry Archdall was made deacon on 11 June 1865 and ordained priest on 27 May 1866 by Bishop Barker. He served in various Sydney parishes before moving to Melbourne in 1878 where he ministered at St Matthew’s Prahran. Successively archdeacon of Gippsland, and of Melbourne and Geelong, he was elected first bishop of Bendigo in 1902. He died on 5th August, 1906 at the age of 65 years from a stroke. He had been Bishop of Bendigo for the short period of four and a half years. He was succeeded in the bishopric by his elder brother John Douse Langley (1836-1930), a graduate of Trinity College, Dublin.